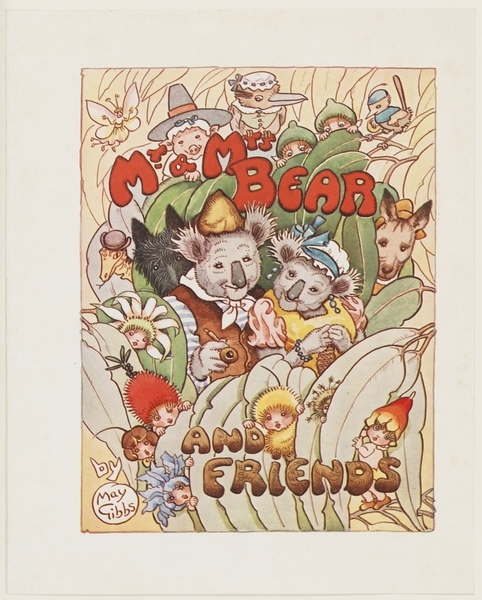 If there was one author whose works celebrated Australian animals, May Gibbs was it. For generations, Australian children have loved reading about the adventures of Snugglepot and Cuddlepie and all their animal friends in Gumnut Land. These stories have shaped Australian children’s literature. From beloved favourites like Mrs Kookaburra and Mr Lizard and a host of other Bush Folk, May Gibbs animal characters came richly to life in the hearts and minds of kids everywhere. Read on to find out more about these timeless characters. 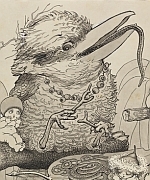 Possibly the most well-known of the Australian animals in May Gibbs’ beloved books, Mrs Kookaburra often invites the Nuts back to her house for tea. She’s very fond of them and acts as a sort of mother figure. 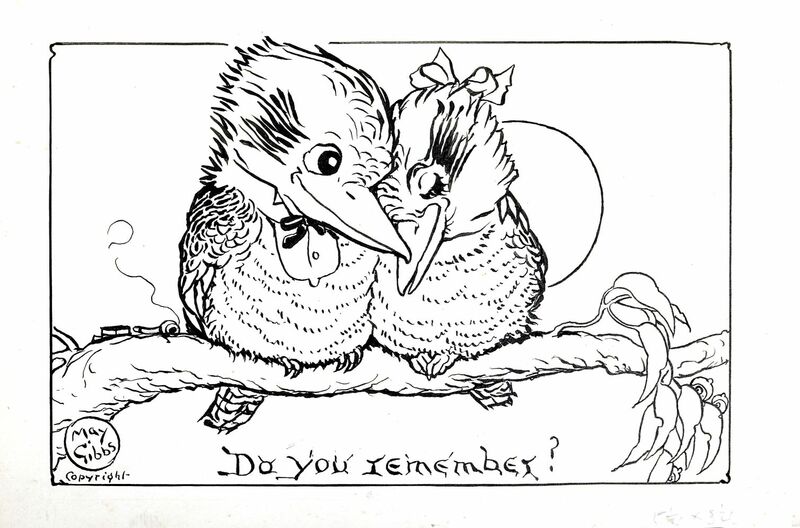 Mrs Kookaburra is great friends with Mr Lizard, and together often helps the Nuts escape from nefarious doings at the hands of the Bad Banksia Men. Check out this adorable pinecone version of Mrs Kookaburra you can make for your very own! Mr Lizard is kind and brave, and one of the animal characters who appears in the most stories –a whopping five stories in total! He is a great friend to the Nuts and the Blossoms, joining them on their many adventures in Gumnut Land. His great goanna strength means he is unafraid of the dastardly Bad Banksia Men or the sly Mrs Snake and so he often saves his friends from peril. 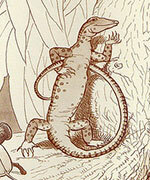 Mr Lizard makes for a fantastic character and one that generations of children have loved reading about. Scotty is, of course, a Scottish Terrier, and he definitely hates cats. 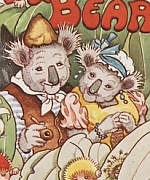 In ‘Mr & Mrs Bear and Friends’, Scotty runs away to have adventures in Gumnut Land where he meets Mr and Mrs Bear and makes friends with the incomparable Snugglepot and Cuddlepie, Tiggy Touchwood and aost of other Bush Folk. He goes on to have his own wonderful exploits in his very own story, ‘Scotty in Gumnut Land’. 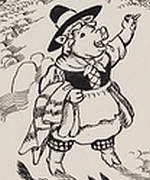 Tiggy Touchwood was originally a princess who became the unfortunate victim of a magical spell which turned her into a pig. She has her very own newspaper cartoon strip and a magic flute that allows her to transform objects into whatever shape she likes. Tiggy is a lovely, kind and magical pig that has enchanted audiences for eons. 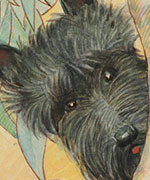 You can read more about the beloved May Gibbs’ animal characters on the Characters page.